Those of you who have perused my celebrity chef posts might have concluded that I am a celebrity chef groupie. Okay. It might be a little bit true. I rarely pass up an opportunity to go one-on-one with a famous chef. 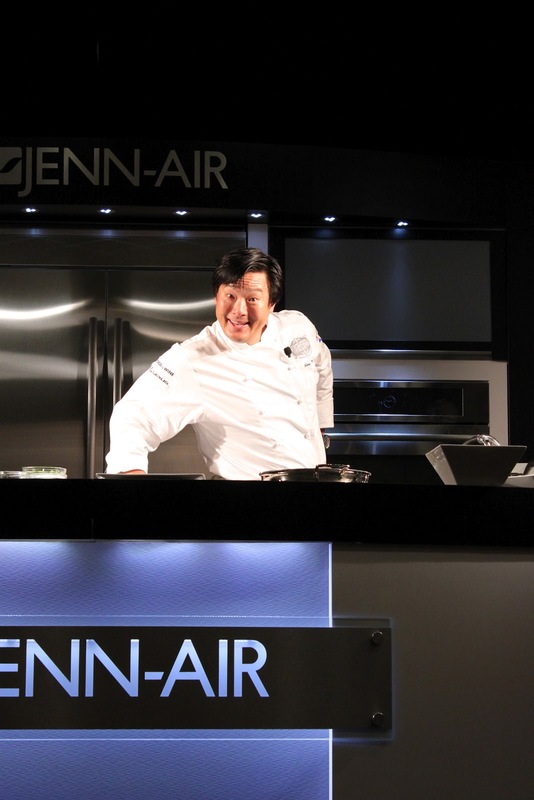 I'm still trying to figure out the formula: What makes some chefs so much fun to watch on TV? What does "star quality" mean for a chef? 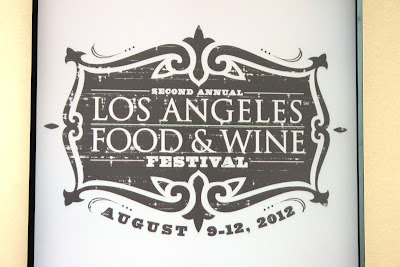 This weekend at the Los Angeles Food & Wine Festival I sat through chef Ming Tsai's cooking demo. I've been watching him on PBS and Food Network for years. Guess what? Tsai is just as borderline geeky in person as he is on television. Which, frankly, makes me like him more. He's not a rock star wannabe like Guy Fieri. He's not pretentious. He's not super polished, either, even after all these years in front of the camera. You get the sense, watching him, that he's actually kind of nervous to be cooking in front of a live audience. Sweet. Taste everything. "I've made this a million times," he said as he sipped the passionfruit mai tai he'd just mixed, "but I haven't made it today." If the pan gets too hot, pull it off the stove and wait a minute before adding oil. Smoking oil gives food a bitter taste. Rub crushed lemongrass stalks on your skin to keep bugs away. That fancy one-handed technique for tossing food without a spatula? It looks slick and it's easy. Practice in the backyard with a frying pan full of dry beans or uncooked rice. If your meat sticks to the pan, it's not done yet. Wait until it's fully seared and it will release itself. Eating spicy food? Pair it with wine that's got a hint of sweetness, like a Riseling, Viognier or Gewurtztraminer. Use kitchen tongs to squeeze the juice out of lemon or lime halves. Look for "naturally brewed" soy sauce, where the only ingredients are water, soybeans and the bacteria that ferments the mixture. Chef Tsai prefers cooking with canola oil because it's flavorless, has a high smoke point and is cheap. Want to get your kids to eat vegetables? Skip the steamed broccoli and saute it in garlic oil instead. "Kids love flavor," he said. "They'll eat vegetables if you make them taste good." Chef Tsai's kids are about the same ages as my boys, so when I caught up with him after the demo I asked him what he likes to cook with his kids. Watch the video below for his answers! I drove past this event and I wondered who, if anyone, I might know there. It was you, apparently! 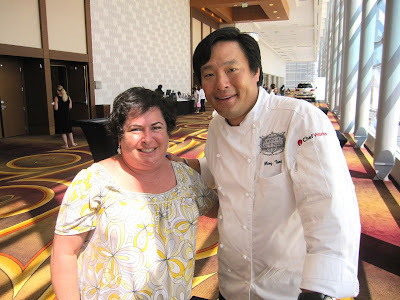 I met Ming Tsai when I ran the SM Sur La Table Cooking School (many moons ago, when there still was a school there), when he did a book signing and demo. I thought he was incredibly nice, too! P.S. Thanks for today's meeting! Simply Ming is one of my very favorite food shows! I get that same feel about him, unpretentious, sweet even! How fun you got to meet him and how fun you shared it! Well Erica, I saw this photo of you and Chef Ming Tsai on my blogs follow list and I couldn't resist stopping by! He's one of my favorite...he sizzles!! In addition, these are fantastic tips...thanks for sharing what I'm sure was an exciting experience! So sorry Erika...apologize for misspelling your name...I know better...should have gone to be a long time ago! Oh Bonnie, no worries - I answer to it any way it's spelled! Love this! 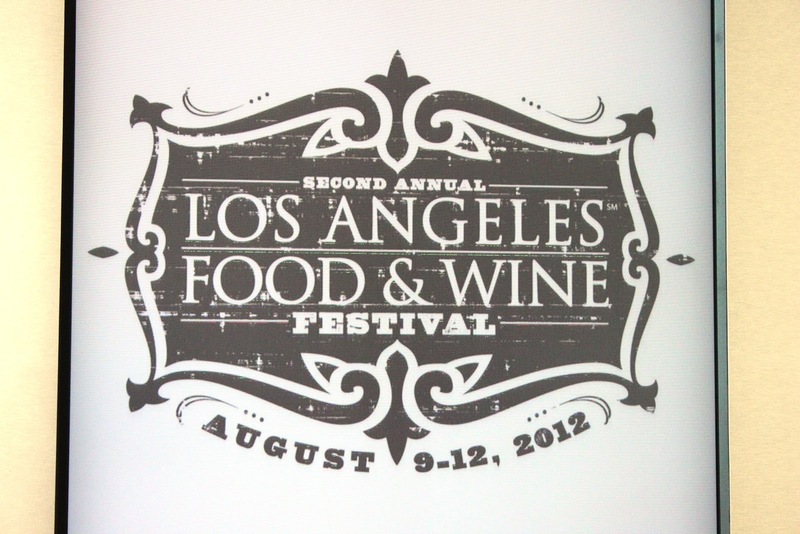 Looks like you had a great time and Chef Tsai is one of all time favorites! !